"a fun and rewarding place to play"
The Softball Players Association is a National organization promoting and sponsoring Senior Softball. Click Here to view Dalton Women's schedules! "Get To Know Your Leaders"
Hello, I'm Ridge Hooks, Executive Director of Softball Players Association. I would like to take this opportunity, to personally introduce you to my wife, Ann, and myself. Though both native Texans, we met in Oklahoma in 1982. We have been married 26 years, and have 4 children (2 girls, 2 boys), and 7 grandchildren (2 girls, 5 boys). We have owned and operated SPA for 14 years. Throughout those years, we have had the good fortune of getting to know hundreds of great people with whom we have become good friends. Previously employed with M&M/Mars Candy Company for 25 years as a Sales Manager and Customer Relations Manager, I was known and referred to as "The Candy Man". Playing softball from the time I was 14 years old, I purchased SPA in 2000. 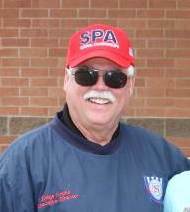 I was previously involved with ASA, USSSA, and NSA in various positions, from Umpire to Director. I also coached several women's teams, so I can appreciate all the aspects of Women’s Senior Softball, and I truly enjoy the excitement and passion that the women bring to the Senior program. My goal for SPA has been to maintain the Honesty and Integrity of the Senior Softball Game. We are not perfect, but we are trying, each tournament, to make the Women’s Program the best. "TO GOD BE THE GLORY"
A little bit about myself……I love country music and have played the guitar and base fiddle for enjoyment as well as professionally. I began with music at age 14 and made recordings as well as playing at the Grand Ole Opry plus various television shows around the country. Slow pitch softball came into my life about 1977. 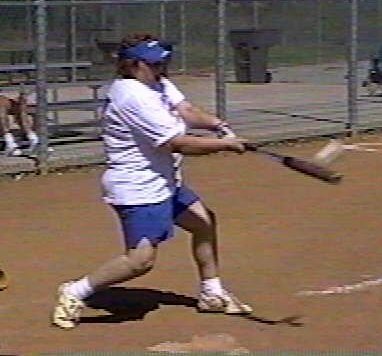 I played in the Senior Olympics 1995 and became hooked on senior softball. We knew there were other teams out there, just had to find them. So, I attended a softball convention and met Ridge Hooks. We had the first Senior Women’s World Tournament in 1998 in Nashville, TN and the rest is history. I teamed up with Ridge and SPA in 2007 as the SPA Women’s National Director. We have gone from zero to hero now hosting seven Women’s National Tournaments annually all over the Southeast Region from Pensacola, Florida to Hendersonville, TN. My plan for the future is to keep expanding and improving all of our tournaments. With input from our players and support and advice from the coaching staff of all teams, I believe there is a BIGGER AND BRIGHTER future out there for all women interested in slow pitch softball. I am always open to suggestions on how to improve the game and to help our senior women continue to play ball as long as they are able. You can email me or call me anytime with any suggestions. My door is always open to you. I want to thank Ridge Hooks for believing in our women’s program. Hi Ladies, I’m Mike DeSorbo one of the directors of SPA. Most of you know me from attending the Women’s SPA Spring Championship Tournament in Pensacola, Fl. Next year, 2017, will be our 8th year for the tournament. In our first year, 2009, we had a total of 12 teams participating, Over the next five years with your suggestions and support, I am proud to report 43 teams attended our tournament in 2015. Each year, you guys have done bigger and better things from pitching a perfect game to knocking the socks off that softball. I have been involved with softball as a player, manager, coach, and/or SPA director over the last 40 years and currently a member of the SPA Executive Board. Needless to say, I am totally committed to the SPA Women’s Program and will devote my efforts to advancing and growing this program in the future. 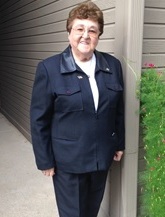 My wife, Millie, and I have been married for 58 years. We have two perfect (in our opinion) children and 4 grandchildren. We are excited about the SPA Women’s Program. Watch your email for up and coming news about next year’s SPA Women’s Spring Championship in Pensacola. Hope to see everyone there.